FROM CHICAGO/MILWAUKEE/MADISON OR TOMAH: Take I94 West to Hwy 21 (exit #143 Tomah). Take a left onto Hwy 21 (west). Go straight on Hwy 21 for approximately 9 miles. Take a right into Gate 19 and follow signs. FROM LA CROSSE/SPARTA: Take I90 East to Hwy 27 (exit #25 Sparta). 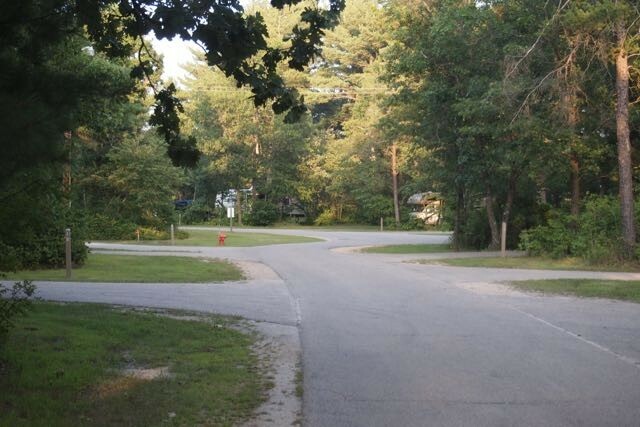 Take a left onto Hwy 27 (Black River St). Take a right on Montgomery St (3rd set of lights). Take a left at Hwy 21 (2nd stop sign). Go straight on Hwy 21 for approximately 7 miles. Take a left into Gate 19 and follow signs. FROM MINNEAPOLIS/EAU CLAIRE: Take I94 East to WI Hwy 21 (exit #143 Tomah). Take a right off the interstate ramp. At the first stop light, turn right onto Hwy 21. Go straight on Hwy 21 for approximately 9 miles. Take a right into Gate 19 and follow signs. Accepted. For online reservations, call to get a login first. Online reservations require 100% payment up front. For phone reservations, a deposit of 50% is required and full payment due within 10 days of reservation or reservations will be canceled. No refunds, but a rain check will be issued if cancelled at least 7 days in advance. WiFi available at the store and office. Rates vary depending on season. Lowest rates are for military in the "off" season (Oct 15 - Apr 15). Highest rates are for civilians in the "high" season (Apr 16 - Oct 14). 2 night minimum stay on weekends. Rates for cabins based on type of accommodation, season, and military or civilian. Ask about Golden Age discount. It's not just about camping at Pine View! We have miniature golf, volleyball/basketball courts, horseshoes, a swimming beach, biking trails, playgrounds, and a game area. Or get on the water in a rental paddleboat or canoe. Try out newest addition, Tactics Paintball Field located at Whitetail Ridge Ski Area! 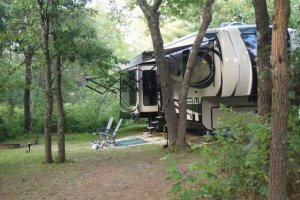 Clean campground with nice paved sites. ATT cell was one to two bars, verizon is better in this area. WIFI at office area, seemed to work OK. Friendly staff. Enjoyed our two day stay and would stay again. A little pricey in my opinion. But, is open to public and does fill up on weekends and holidays. I am active duty and stayed here for two weeks and our bill averaged out to about $33 a night. I was in the first circle (lot 20). My lot was paved and level with full hook-ups. I had 30/50A service, water, cable TV with over 60 channels, and sewage. Our water hookup started leaking about a week into our stay and they came right out and fixed it. The campgrounds is very nice. They have a lot of things for the family to do. Shuffle board, miniature golf, beach, fishing, boating, biking, and hiking. The laundry room was somewhat lacking, it only had two washers and two dryers. It cost $1.25 to wash and $1.25 to dry. The restrooms were clean and in good repair. I worked the entire two weeks I was there and it was convenient for me because there is a gate (gate 123) right outside the campgrounds. If you go to the provost marshals office, you can register your ID to be able to use the gate (it is automatic, hold your ID up to it, and the gate opens). The campgrounds was empty most of the time we were there except during the weekends. It would start to fill up on Thursday night and by Friday night it was full. Overall, I thought this was an awesome campground and even if I would have had to pay $50 a night, for the full hookups, it is worth it compared to similar civilian facilities. 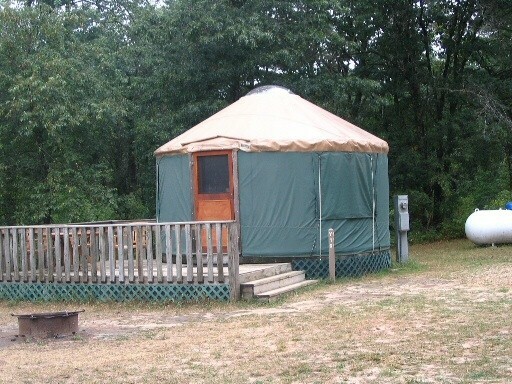 Listing says rate is $25 - $30, but we were charged $50 per night! While the CG is huge, immaculate, spacious and the staff helpful & friendly, there's no wifi and no cable. If they had them it would probably be worth the $50. Also, DO NOT use the GPS coordinates to find it since it's around the north side of the main post, away from Highway 21 that runs east-west on the south side of it. Mine kept telling me to go through closed gates and blocked roads. Because the CG is so large, finding the office can be an adventure, but there's good signage. 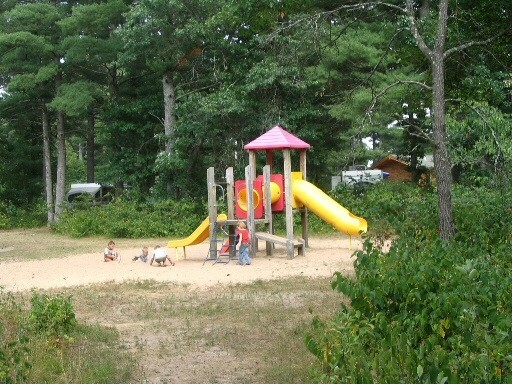 Fantastic campground catering toward families/summertime children activities. Can imagine this place in the summer but even now this place fills on weekends!!! Right now winter sites are $90. per week fhu. Over 50+ cable tv channels but if you need direct tv, try site #68. Eyeballed some sites in Pine Loop (sites 1-40) that would get satellite tv. Saw only 1 pull thru, site 108. Sites 1-40 are in the newest loop and have the newest and largest restrooms. The camp office will let you pick your site first if you want. Small laundry (2 & 2) located in activity room, a reasonable $1.25 ea to wash/dry. Office only open m-f. Campground is off base but right next door, kind of hard to find the first time, closer to Sparta, and a 5 minute drive to fuel/px/commissary. Quick turn into the campground so go slow when you get close. Call for reservations if staying near the weekend or for a long stay. We will be back. This is not a Military campground in the sense most would think. It is not on the base proper and is open to the public. we stayed a number of years ago and it was not nearly the experience I have had at other military campgrounds. Not well kept up, and the patrons were horrible. Clearly not former military patrons. We had a couple groups raising all kinds of hell until well after midnite. Quiet hourse started at 10:00pm. Several calls to the office did absolutely nothing to quell the chaos. Car headlights shining all night, even horns going off and on. And yelling and loud music. I talked to others the next day and they had complained as well. The two groups in question left the next day, maybe they were kicked out, but it did nothing to make the previous night any better. The pond was nice but there were no fish to speak off. I couldn't even catch a sunfish with worms. No trout, no bass. I saw several people fishing and not one fish caught over two or three hours. They were acting like I was crazy for only buying one dozen night crawlers saying I would be back in less than a half hour. Folks, I know how to fish. I would hope it has improved, but I will never know because I wont ever stay there again. I live only an hour away too. What a gem! Hidden in the woods way at the end of the base this campground has everything. Water sports, putt-putt golf, nice new camp store, paved sites, full-hookup with cable and many many channels. You can't go wrong spending a few days here. Make sure you go to the cheese shop back at the interstate. Wonderful selection! This campground was OK. The good: office staff very friendly and helpful, many sites in the front are HUGE, you can fit 3 RVs on one site, nice clean fishing lake stocked with lots of bass and trout, large 4 person paddle boats for $4/hour, many activities on weekends for kids and gun shooting range, very nice 18 hole mini putt course for $4, and small store stocked with basic items. 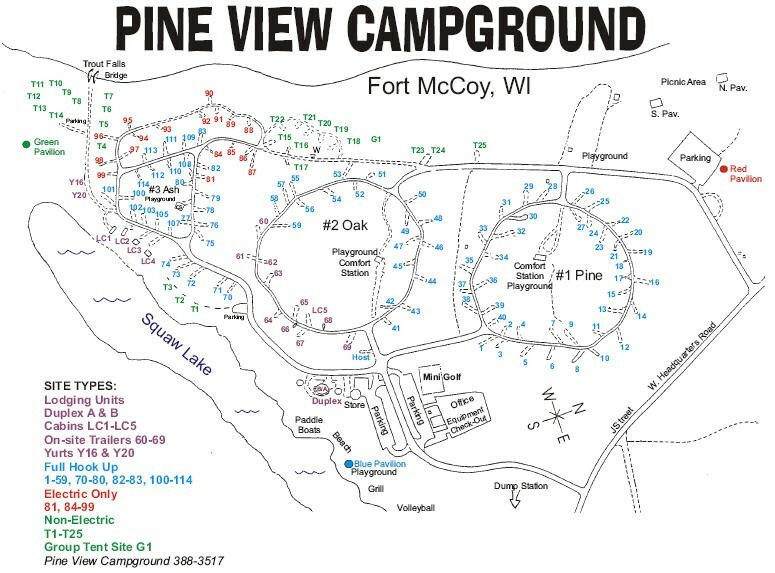 The bad: this camp is way far off the beaten path, the campground is next to the base so open to public but it's a long drive to get to the main gate with small exchange and commissary. The camp ground has a lot of plants that have a small burr with spikes that's everywhere and very painful to step on, we had these tiny spiky burrs all over our outdoor carpet and there very hard to get out and kids couldn't play much outside. 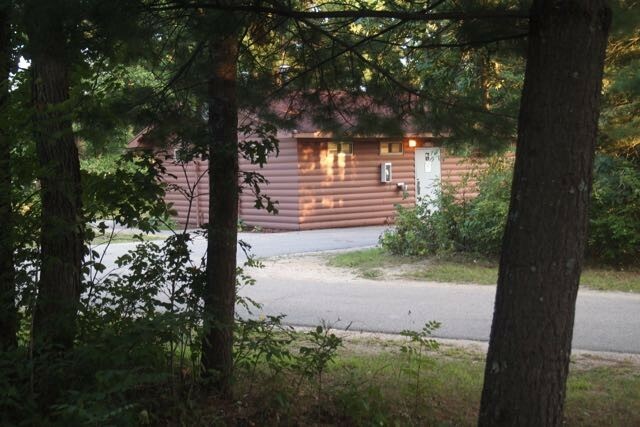 To fish the lake you need WI fishing license and base license you can buy at campground. This place was fun for a family weekend getaway and very peaceful during the week but again, it's in the middle of nowhere, closest town with food, Walmart is 30 min drive. We stayed at site 90. I finished AT and stayed up while my wife and daughter came up to camp as a family. My daughter is 23 so we really didn't use the local kids geared activities. Our site was very secluded and quiet for most of our time. It didn't have water or sewer but it had a power hookup. All we really wanted to do was have a fire, drink beer, see Wisconsin, and be in the woods. Our site was perfect for that. I'm glad we got the site we did because a lot of the other sites were right on top of each other and there was were a ton of children doing loud kid stuff. If you want quiet you need to look at the map and pick something off to the side. Also, because of the 4th of July holiday the place filled up by the 3rd and was extremely noisy. We actually took off on the 4th because it got so crowded and loud. I can't ding them for that though. It's a campground during a major camping celebration during prime camping time. They're all loud. I really liked their wood delivery service. Very civilized. They had a small camp store where you could get some of the basics like ice, bait, candy bars and a few varieties of beer. They were very busy but nice, polite and efficient. It looked like there's about a million things for kids to do. Again, we didn't actually use those resources but it looked like smaller kids would have a good time. My only gripe was the showers had the push buttons. I wish they were set to 2 minutes instead of 30 seconds. We all had to get into a rhythm for hitting the button that was akin to juggling while soaped up. Also, the showers were getting a little dirty once the place filled up. All in all I'd go back but I'd skip a major holiday and I'd be very careful to pick a secluded spot. There are lots of activities planned by the park and lots to do there. We did not stay long enough to participate. Weekday rates are fine but weekends are very expensive. Lots of gnats, mosquitoes, and ticks. The area it beautiful and quiet. The facilities are clean. We would stay there again during the week if we were passing through but would not go out of our way to go there. R.L. left this review using the Directory software: - We were just passing through and wanted to check it out. Maybe if you want to make a vacation out of it and use the facilities it would be a better deal. Our site was adequate, decent access, but weeds and brush really need to be cut. Would not stay again. When we were making plans for a trip I tried to make reservations and when I asked about the Golden Age pass I was told that it is honored, but, they only give $1.00 off. 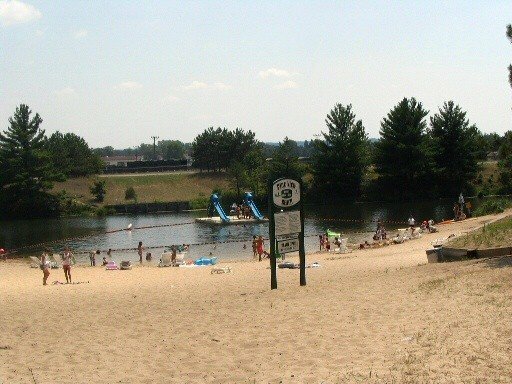 We decided to stay at a Army Corp of Engineer campground not to far away that gives 50%. So much for supporting the senior citizens that gave years of service to the USA. We stayed on a Saturday and paid $40 for 1 night on our trip west. They did not mention or try to charge us a 2 night minimum as stated above. TV service is Cable only so bring a long coax cable. We received over 75 channels, reception was better with a booster connected. There was NO local TV reception. Virgin MiFi 2200 internet worked well at this site. The site is sort of out in the middle of no where so bring a lot of supplies. Limited beer and a few snacks are available at the site. The site seemed to have alot of non military, I stood at attention for revile and it seemed like I was the only one. We did not use any of the recreation mentioned above. The BEST military campground that we have stayed at so far! The only thing missing was WIFI, 82 cable channels though. The staff sponsored daily events for the campers. There is miniature golf, shuffle board, plenty of biking trails and a swimming hole. 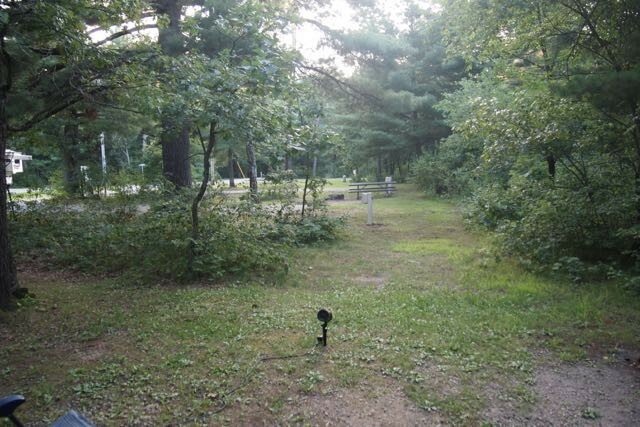 This camp ground is open to the public and not on the main installation. We are all for this...more revenue for improvements! Commissary was small but well stocked. The REC Center appears brand new and has pool tables, video and a daily buffet. The local area is just "wholesome America"! People are very friendly and helpful. PRO-MILITARY. We will be back!!! We visited in the off season. The daily rate was $14 and since we were here over the weekend we got a free day, total cost for 5 nights was $56. Staff was very friendly and helpful and provided information about the area. They have a lot of sites, very large and asphalt pads with fire rings. 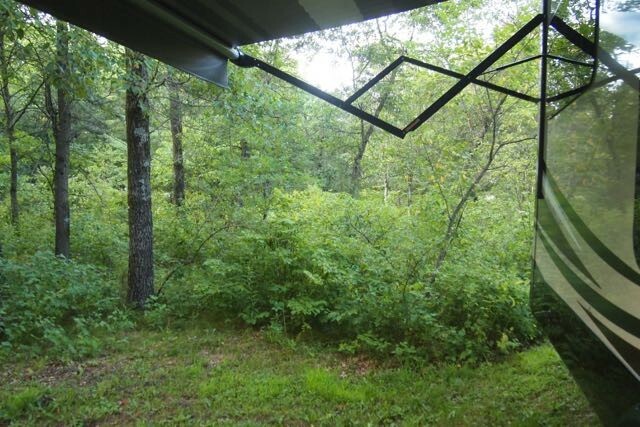 You can request a site in the trees or in the open area. They have a swimming beach with slides, paddle boats, canoes and miniature golf at the office. 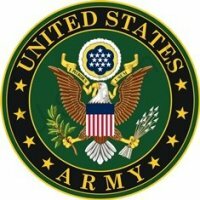 I know people are upset with Civilians using this facility but where they are located there are not of military around other than Ft McCoy so without some other way to raise revenue the facility might not stay open. Maybe out timing was good but we found this campground outstanding and would definitely come back again. WAY to expensive, Civilians with no connection to the military are allowed to use up all the equipment. The staff is great but how can they justify the price? Go to Great Lakes it is much better and much cheaper, you just need to move to get water in and out. i made a reservation for 2 days(friday and saturday),it was 78.00 and that was including golden age pass.i starting to think about that price and decided to cancel.i was told i could have a rain date but not a refund to my credit card.i was quite upset and express so to several people.i finally got my refund,taking a hill was easier.a campground in sparta was 33.00 and the county campground in la crosse is 23.00.my point to this story is all military personnel should boycott this base.i sent 2 e-mail to the base commander.lets flood the commander with our complaints. The staff at Pine View were very helpful. The commissary and PX were limited on the overall different types of items, because they are not very big. The base seemed very well maintained and clean. The only real negative comments are, 1. If you are not used to getting wakened up by the base loudspeaker system with horn blowing I would suggest that you try circle 3 since that is away from the loud speakers., 2. They have no WIFI on the post at all. I had to go to Sparta and use it in one of the restaurants. 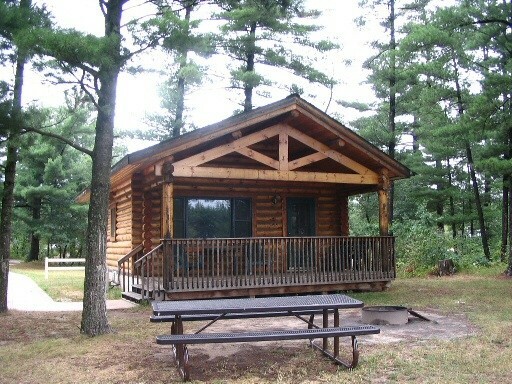 This is a nice campground but I will never stay here because of the cost and the preference to civilians. I travel more of the country now and a lot of people talk about this campground and these issues. You might as well just put a KOA sign up and leave it. I was just on the coast of CA on the ocean. $21.00 a day. Apples to oranges.